This type of a record can be made with a combination of transparent clear vinyl resulting a milky clear color on day light. In the dark these records can glow red, blue or green. Glow-In-The-Dark is the most expensive type of vinyl we make, and although it may be expensive, for some releases, it’s just what is needed to bring the project to the next level, and make your record the most talked about thing in vinyl. 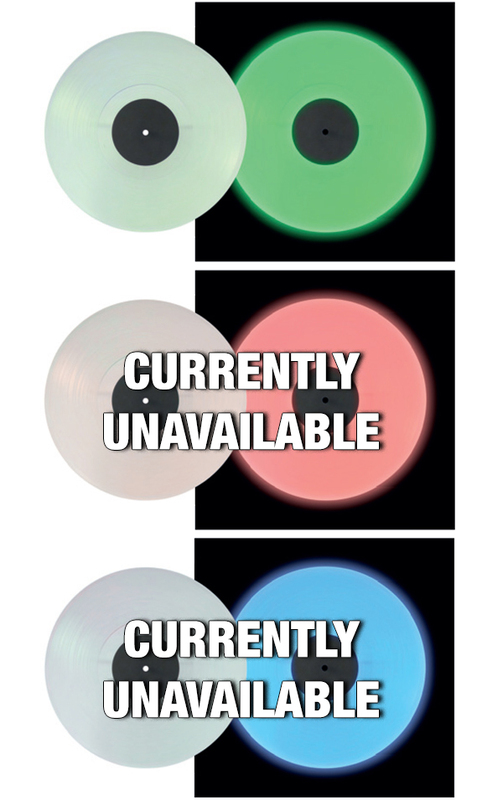 Please ask a Pirate for more information or pricing on GITD vinyl.